Should I tip in Dubai? HomeBlogShould I tip in Dubai? And it’s a big question in Dubai—a city that’s famous for excellent service levels. You can literally have all your needs delivered to your doorstep (yes, even a mobile salon service will come to your home or hotel). In Dubai, the short answer is both yes and no. It’s certainly not mandatory. Many don’t tip, but many also do. It largely depends on personal preference and the quality of service. The following guidelines can help you figure out if you should tip and how much you should tip in this desert oasis. Again, tipping in Dubai is largely up to the person receiving the service. You’ll see people tipping in a lot of different ways—and it’s largely based on their own culture. For Americans, tipping is heavily ingrained in the culture. 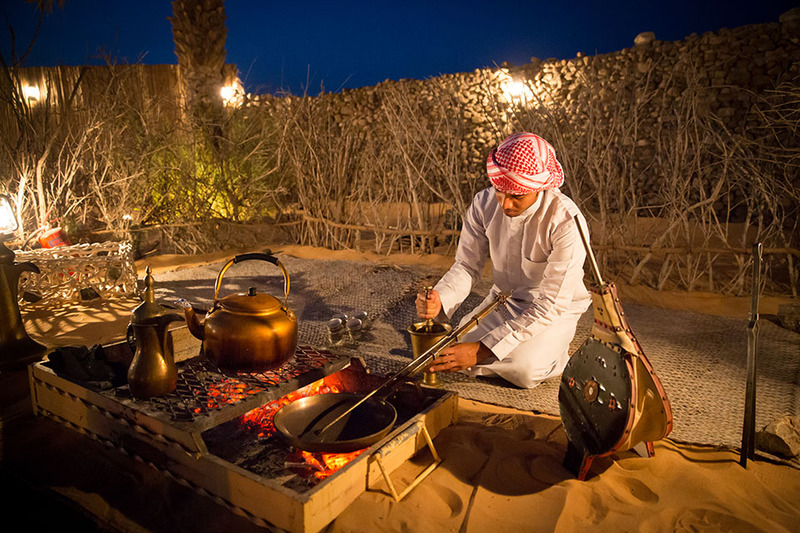 They’re known for leaving good tips to guides on desert safaris and giving 10-20% at restaurants in Dubai. For Australians, tipping is more open-ended. In Australia, you don’t have to tip, but you can if you want. For this reason, Australians in Dubai may tip for services that go above and beyond the call of duty or when people just do an especially good job. For British, tipping is generally 12.5 to 15% of the restaurant bill in their home country (as long as there is no service charge). It’s customary to tip cabs at 10% of the ride cost and, for guides, generally about 10 to 15% of the total cost of the tour, depending on the quality of the service. As you can see, westerners traveling and living in Dubai truly do bring their own tipping cultures with them. There are no hard and fast rules. Tip if you feel the service deserves it—the extra money will certainly be appreciated. What services deserve a tip? Wait staff: Service charges are included in the bill, but it’s still common for diners in Dubai to tip. Service industry salaries aren’t particularly high, so tipping 10-15% is very much welcome. Taxi drivers: Ride services in Dubai are plentiful and low-priced. Tipping a few AED is more common with this service. Bellhops and valets: A service charge isn’t included. Tipping AED 5 to 10 or more is advised, especially if the staff did more than the norm (i.e. carried heavy bags). Delivery drivers: At the very least, don’t ask for change if it’s minimal. Tip more if you feel the service is worth it. Tour guides: It’s not necessary but certainly appreciated, especially if the tour was good. Americans have been known to tip AED 100 or more for day tours, especially if the guide is especially helpful. Spa/beauty specialists: Feel free to leave 10 to 20 AED if the service is good or if it took a long time (like a massage). Like with other services, tipping is not mandatory, though. Again, these are just guidelines to follow. In Dubai, you don’t have to tip, as a service charge is built into the prices (especially with restaurants). It won’t be considered rude if you don’t leave the staff any dirhams. With that said, remember that the service charge goes to the business—not directly to the staff that served you. If you feel the wait staff, driver, or tour guide did a good job, then maybe you should tip. After all, you may find it necessary to reward those who are working hard to make your experience in Dubai unforgettable. Just be sure to follow the guidelines above, and you’ll be fine. Can I tip in my own currency? Of course, local currency—the UAE dirham—is highly preferred. You should bring some AED or get some here, as you’ll get fair prices with local dirham. You may be able to tip in your home currency, but using the dirham is always better. If you’re coming to Dubai with US dollars, some workers will accept it as a tip. The British pound, euro, Australian dollar, Japanese yen, and other currencies may or may not be accepted as tip. Note: If you’re stopping over for only a short time, you may think it’s not convenient or advantageous to exchange your home currency for local currency. Know that, with the vast majority of purchases, you can pay with your debit and credit card. Also, remember that local dirhams are what the economy runs on here. So, it’s ideal to tip in AED. 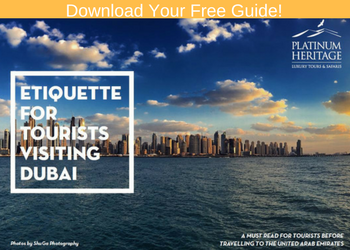 Want more info for when you touch down in Dubai? 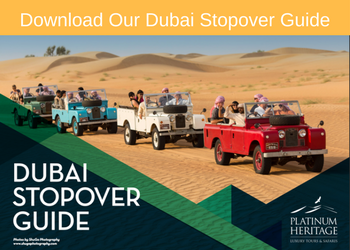 Check out our Dubai Stopover Guide.